Sports can teach us lessons that apply to life in a variety of ways. Many of the same challenges faced in competition apply to other aspects of life. Playing sports for 2 years in high school proved to be one of the best signs a person had the grit to succeed when facing challenges. Red Auerbach won 9 NBA Titles as a coach, and taught us to learn what uniquely motivates each person on your team. 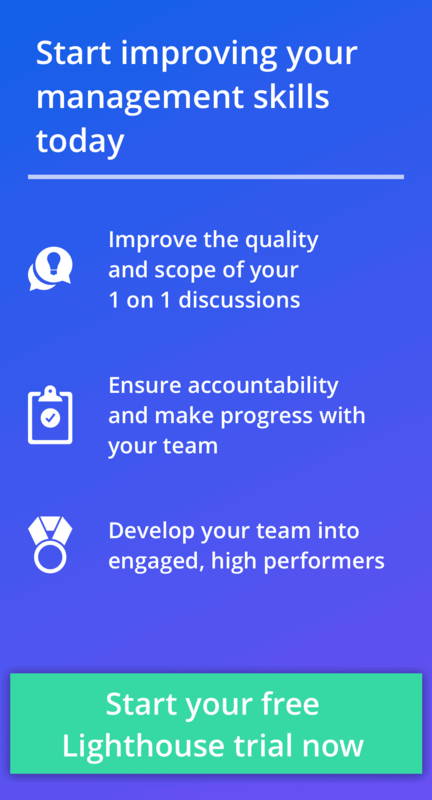 The 2016 World Series Champs, the Chicago Cubs showed how a focus on employee development plans make a huge difference. Bill Walsh, the 4 time Super Bowl Champion-winning coach of the San Francisco 49ers taught us a variety of lessons we shared from his book, The Score Takes Care of Itself. 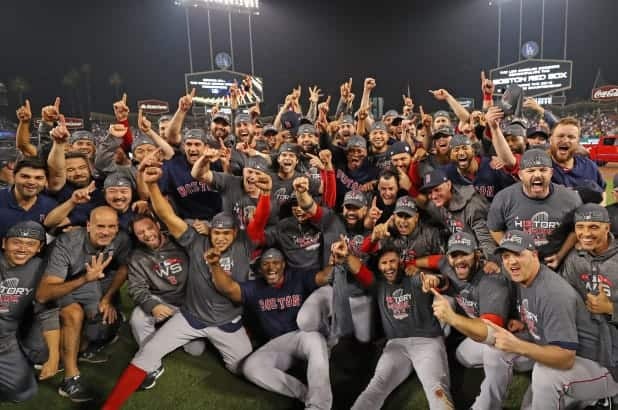 With the Boston Red Sox having won the 2018 World Series last week, we wanted to share a major key to their victory: being data driven and emotionally intelligent. The Red Sox have annually been one of the highest spenders in baseball. They have spent hundreds of millions of dollars trying to win more championships. 14 years ago, they were able to break the 86-year curse that had left them without a World Series win since 1918. Thanks to being data driven, they continued to compete and win titles in 2004, 2007, and 2013. However, in more recent years, they have struggled. Being data driven was no longer enough to win. Other teams have caught on to this trend, like the recent champions, the Chicago Cubs and Houston Astros. As we learned from the Chicago Cubs winning in 2016, a care for the players and their development became a competitive edge. Similarly, thanks to the Red Sox hiring Alex Cora as their team’s manager, they learned how being emotionally intelligent was key to their success. Red Sox manager Alex Cora was a former professional baseball player himself. He played 13 years in the majors. He had quite the varied experience as he played for 5 different teams during his career. On each team, he learned a few lessons of what to do (and not to do) as a manager (Ed. note: much like Steve Kerr did). It also gave him empathy for the struggles, challenges, and mindset of players. Those experiences helped him recognize that they had to go beyond what an analytic average told the organization. Being data driven can help you find great players. However, being emotionally intelligent is how you help players get out of slumps, know who will come through in the clutch, and when a player needs a break. Having read and followed a number of stories during the Red Sox run, here’s 3 lessons from Alex Cora’s management. Alex Cora was a manager that cared. His team was more than a number to him. He cared about each player and wanted them to succeed. In fact, he cared so much the players’ parents noticed. Despite being a professional baseball team with some players making tens of millions of dollars, and others on rookie contracts, Cora wanted to make the team feel like a family. He had a diverse group of players he wanted to all feel included and welcome. He even applied this to players that weren’t on the team yet. When Cora knew he wanted slugger JD Martinez to join the Red Sox, he went all out to convince him to join. He showered Martinez with attention and shared his vision for how he’d be a perfect fit. 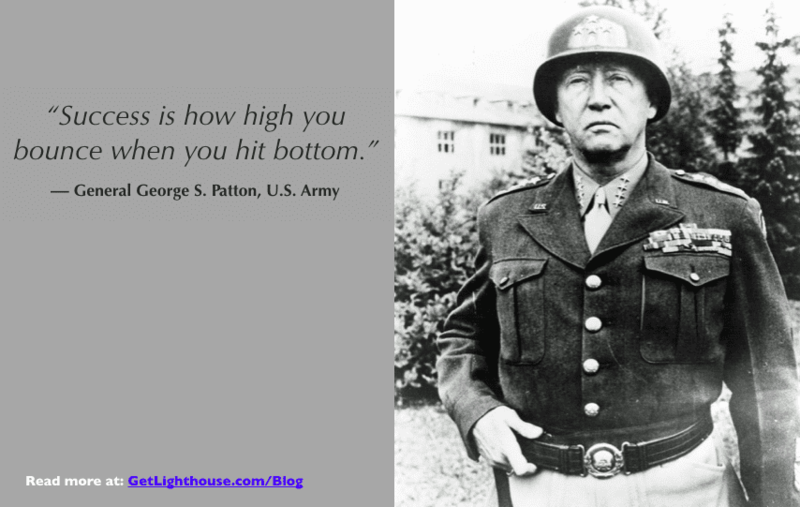 Learn why leaders from the military, to sports, to business all agree you should build rapport with your team. Not sure how to start? Here’s 81 great ways to build rapport with your team regardless of age, background, or culture. Now, caring about your people is important, but it’s what you do once you build that trust that really matters most; it is building on that foundation that creates a winning environment. While there is a wide variety of data now at the fingertips of every major league team, it doesn’t tell the whole story. Cora believes in using the data to help inform his decisions, but also believes in understanding people. One of the best pitchers on the Red Sox, David Price, was notorious for his terrible record in the playoffs. Many thought he was a head-case, or “just not a winner.” The stats showed a poor ERA of over 4.5 runs allowed per postseason game, and a terrible 2-8 record in those games. “The pitching coaches had noticed that in playoff games against the Yankees and Astros, Price was releasing the ball lower than was typical for him — 5.7 feet off the ground, compared to 5.85 feet during the season. The result was lower velocity and pitches that lacked the deceptive movement that baffled hitters. So before a decisive game with the Astros in the League Championship Series, the coaches helped Price make an adjustment, and the result was a dominant performance in which Price helped the Sox to clinch the series. Cora took this approach repeatedly, helping players like Jackie Bradley Jr navigate a slump, Price fix a post-season pitching issue, and make sure their pinch hitters stayed warm for crucial moments in games. 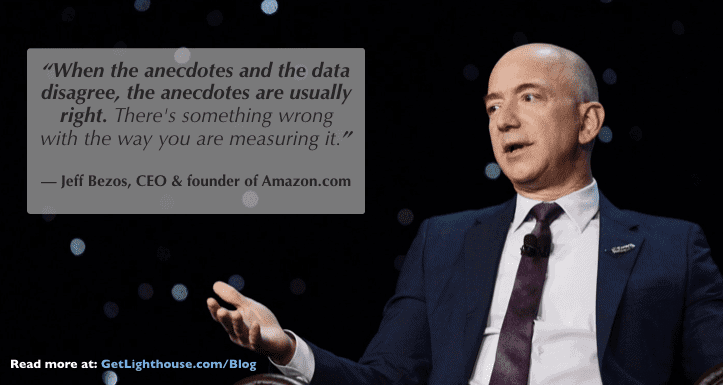 By caring about your people and looking beyond the data, you can understand the nuance of numbers; sometimes someone is in a slump and you just need to help them fix the root cause. Other times, they’re mis-cast, and then you can use the numbers to find a position they’ll be more successful in. If you have an underperformer you really want to try to turn around, this post can walk you through a similar caring, data driven approach here. 3) Recognize effort, especially when you fail. When you spend hundreds of millions of dollars a year on payroll, in a city crazy about sports, the expectations are high. The weight of it all can easily get to you. Cora recognized this and coached accordingly. Nowhere was Cora’s skill in embracing hard work, regardless of outcomes, than in the World Series. In Game 3, the game ran a record 18 innings. Both team’s pitching staffs were exhausted. Eovaldi was crushed. The whole team could have easily been upset by such an exhausting loss. But led by Cora, the rest of the Red Sox wouldn’t let Eovaldi, or anyone else get down. 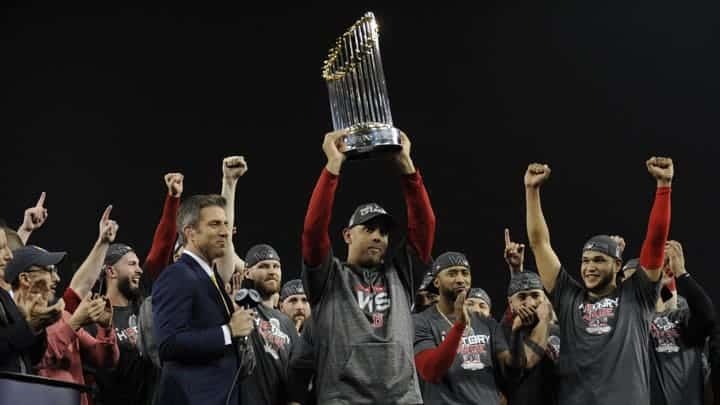 Alex Cora called a team meeting right after Game 3 ended, and talked about the epic effort, and how proud he was of his players — singling out Nathan Eovaldi, who got a standing ovation from teammates. David Price stayed with Eovaldi postgame, on the bus. This support not only helped Eovaldi get over the home run, it reminded the whole team not to dwell on mistakes. It was a strong act demonstrating Cora valued effort, even in failure. After these actions by the team, it’s no surprise the Red Sox shook off the loss by the next game. They came out and won the next game 9-6 on their way to winning the World Series one game later. Taking risks is how breakthrough innovation happens. But it doesn’t always work out. If you as a leader embrace those failures, focusing on the effort, you’ll encourage more of your team to take chances. Otherwise, don’t be surprised if a fear of failure causes most of your team to play it safe. Two decades ago, analytics and data driven approaches gave pro teams an edge. Today, that’s table stakes. As much as Cora gets an edge with how he cares and understand his people, you can do the same with your team. Take the time to get to know them. Understand the why behind your numbers, and celebrate successes and genuine effort in failures. These principles work on the sports field and the work place. Read Bill Walsh’s greatest lessons from his book, The Score Takes Care of Itself here. Learn how the Chicago Cubs changed their culture to break a 100 year curse. See why the Red Sox broke their 86 year curse in dramatic fashion here. Read about the unique approach to employee development plans helped the Cubs get an edge for their 2016 title run. Learn the secret to Celtics legend Red Auerbach winning 9 titles. Learn John Wooden, winner of a dozen NCAA championships, approach to leadership here. 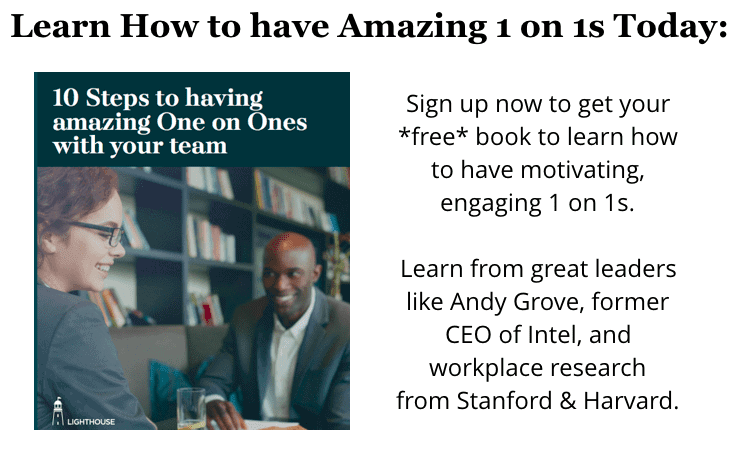 And if you want to start building the habits of the best leaders in the world today, then you should start a free trial of Lighthouse here.